Manhattan, a handbag named after a place in New York City? Manhattan is the heart of the Big Apple with iconic sites like the Empire State Building, Neon-lit Square and the theaters of Broadway. 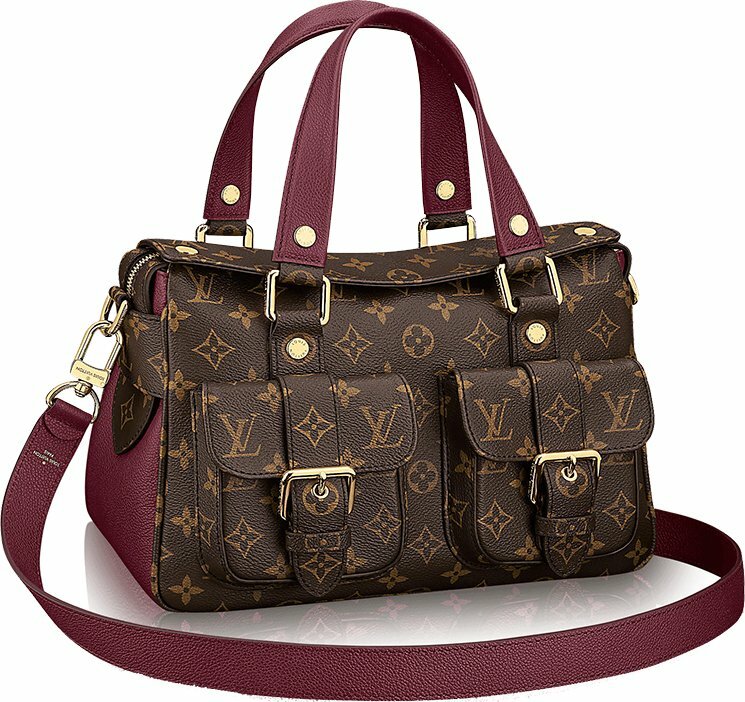 And with so much going on in the city, the Louis Vuitton Manhattan Bag is truly a reflection of it. Introducing a sophisticated accessory for the Fall Winter 2017 Collection. It’s a busy handbag; urban-chic and functional. Crafted in combination of Monogram Canvas and cowhide leather – the body is in Monogram Canvas while the handle, leather strap and the sides are in leather. The front is designed with two useful pockets and you can lock your important essentials here. The buckle straps make sure nobody gets in so easily. The rivets in gold hardware are done for decorative purposes, to make it shiny and notable. 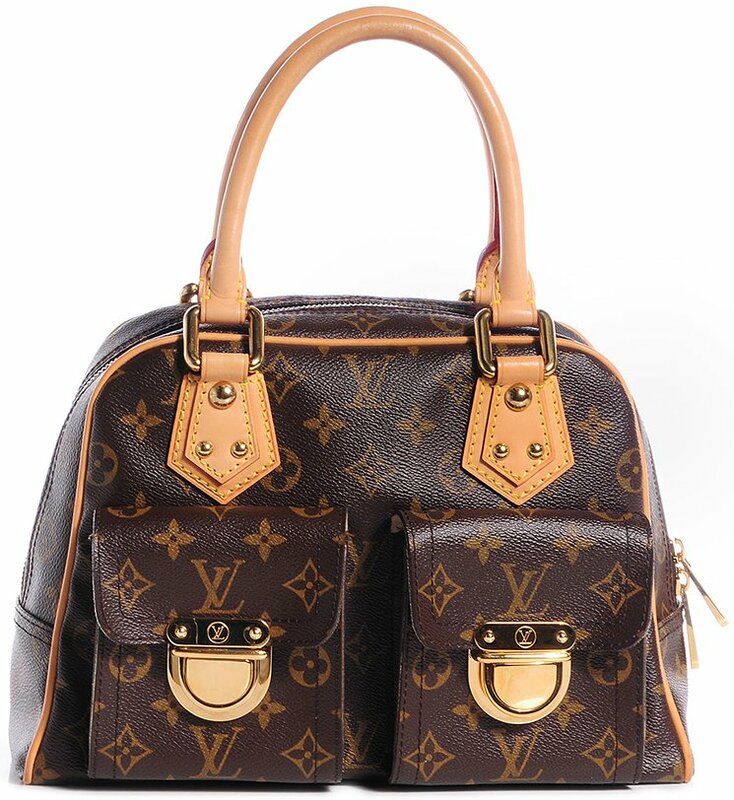 The bag comes with double flat handles but you can also carry it with a shoulder strap. The strap can be removed and is long enough to carry on your shoulder. The Manhattan Bag is a multifunctional bag. It’s lovely accessory for work because of the durability and the multi-pockets. But you can carry it for city travelling as well or as an everyday bag. The Manhattan Bag has been updated, here’s the old discontinued version. As you can see, the older version was made with a different lock on each of the front pocket. The newest edition also features a button-flap on top and is available in more colors. Zip the bag open from the top. Inside you will find one large compartment for all of your essentials, but there is also two inside smart phone pockets. The bottom is crafted with 4 studs. Measuring 12.4’ x 8.8’ x 5.2’ (L x H x W) inches, priced at $2490 USD, $3150 CAD, €1840 euro, £1710 GBP, $21200 HKD, ¥302400 JPY, ¥19700 CNY via Louis Vuitton boutiques. There is also a grained leather version for the color Noir and smooth leather for the color Caramel. There is also a Python leather edition.